SSRG believes in doing great work with like-minded people. Our team is unique. As a relationship-driven company, SSRG builds connections with and between our Team Members. Together, we celebrate wins, applaud our shared successes, and work to positively impact our clients and our community. Whether you are looking for an opportunity in Project Management or Field Operations, you’ll be making a commitment to developing your career with a group that’s dedicated to the growth and success of its projects and its employees. We offer our employees a creative work environment, consistent opportunities for learning and career development, excellent salaries and a comprehensive benefits package. Are you ready to start building a lasting career performing work that makes a real difference? If so, please take a moment to look at the available positions to the right in order to see where you can have an impact. 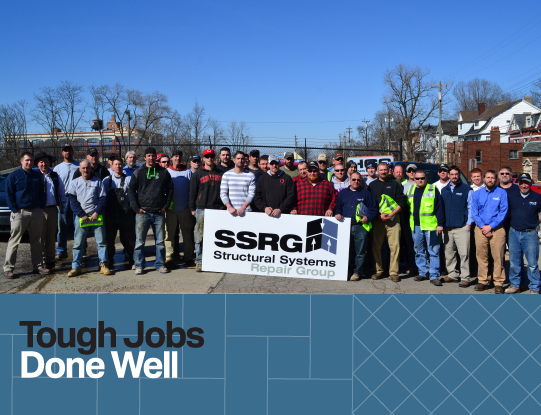 The HGC Group of Companies (HGC Construction, SSRG, Stanton Millworks) “Build Every Day.” Whether this is building our client’s dreams, building our communities or building each other, we cannot do any of this without caring for and being committed to our most valuable resource – our people. The HGC Group of Companies is committed to an inspiring, safe and healthy environment for our people. At SSRG, we strive to capitalize on the future growth of our organization by leveraging our extraordinary culture. Doing so helps us to elevate what matters the most – strong connections to our clients and to each other.